Is Military Service Public Service? Patrick Murray, the Republican candidate for Congress in Virginia's 8th District, is challenging incumbent Democrat Rep. Jim Moran's statement that Murray hasn't done any public service, and Moran is insisting his words have been distorted. Murray, a 24-year Army combat veteran who retired from active duty last year to seek Moran's seat, said that at a community forum, Moran questioned his qualifications in a way that discounted Murray's military service. "When Congressman Moran, who represents the district that has the most hallowed ground in the country, Arlington National Cemetery, says that military service is not community service, I think that's highly objectionable and he should apologize to the veterans of this country and their families," Murray said. Tom Hanton, who was a prisoner of war in Vietnam, said Moran's comment "insults me because it means my military service unqualifies any veteran from being a member of Congress." 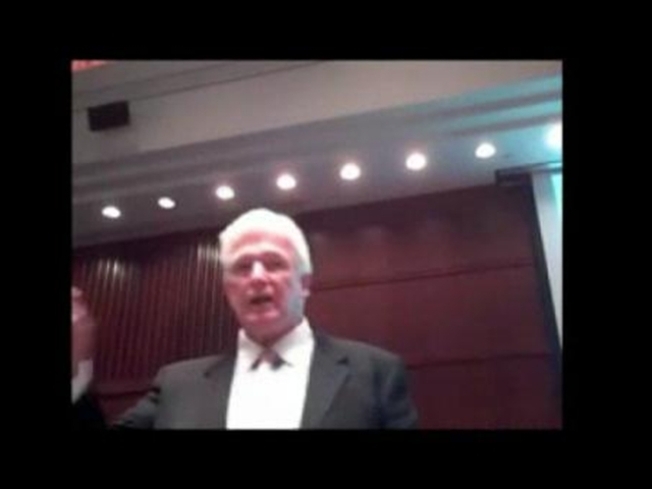 The video of Moran's comments at a community forum has gotten more than 23,000 hits on YouTube. "What they do is they find candidates, usually stealth candidates, that haven't been in office, who haven't performed any kind of public service," Moran says in the clip. "My opponent is typical." Moran said his comments have been distorted and what he criticized was not his opponent's military record but his lack of civic involvement. "Serving in the military does not prevent you from getting involved in the community," he said. "Mr. Murray has decided simply not to be involved in the civic life of the community. That's what I was saying." Former Army Capt. Terron Simms, who was at the community forum, said Moran was talking about Murray's lack of community involvement and that Murray was the one who then asked, "Do you mean my military service is not public service?" "Congressman Moran explained that is not what he was saying," Simms said. Moran said he's sticking by his statement that Murray isn't qualified because he hasn't been active in community issues and that Murray only voted locally last year for the first time when he decided to run for Moran's congressional seat.